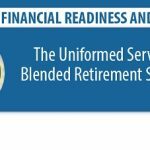 JUNE 3, 2016, WASHINGTON – Department of Defense officials announced Wednesday the launch of the “Leader Course,” a tool designed to educate Service senior leaders and financial advisors about the new Blended Retirement System (BRS) that goes into effect, Jan. 1, 2018. Training for the new system is available via the Joint Knowledge On-line (JKO) and ArmyOneSource websites. Individuals serving in remote and deployed locations will also have access to the training via DVD. The training portal is set up in an “online newspaper” format, which allows users to independently click on videos, glossaries and example scenarios that explain the new retirement benefits and provide comparisons of the current and new systems. “The Blended Retirement System Leader Course and other follow-on courses will ensure Soldiers are familiar with the new system and knowledgeable of available resources to make informed decisions pertaining to their retirement plans,” said Lt. Col. Steven G. Hanson, Allowances branch chief, Compensation and Entitlements Team, U.S. Army G-1. The new retirement system is composed of three components, a tradition defined-benefit plan like that current system, a 401K type defined-contribution plan with a portable retirement account through the Thrift Savings Plan (TSP), and a continuation pay at the mid-career point. Service members currently serving are grandfathered into the current military retirement system. Starting Jan. 1, 2018, all recruits will be automatically enrolled into the BRS. 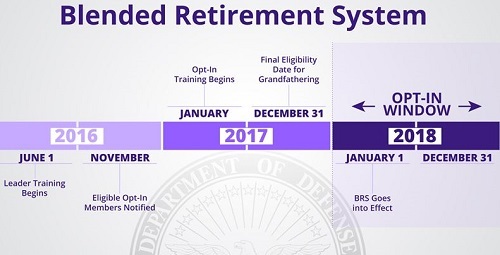 However, active duty members with fewer than 12 years of service as of Dec. 31, 2017, and those reserve component members with less than 4,320 points will have until Dec. 31, 2018, to choose to remain in the current system or opt into the blended military retirement system. 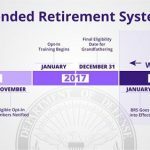 “The current defined-benefit military retirement system has been relatively unchanged for decades, with adjustments being infrequent and incremental,” said Hanson. 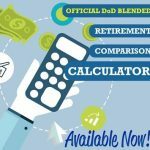 “The new blended retirement system, in contrast, is a significant change. For the first time, Soldiers and the government will automatically contribute, through the Thrift Savings Plan (TSP), to a retirement account from their current compensation. This change will ensure that more Soldiers leave the Service with retirement savings,” he added. 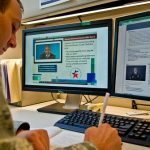 Army officials estimate about 85 percent of the department’s military personnel will separate from service with some form of retirement savings under the new system, whereas only about 10 percent of enlisted and 30 percent of officers will earn a full retirement under the current system. 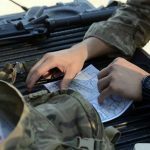 “Soldiers enrolled in BRS may achieve a retirement benefit that is nearly equivalent or perhaps better than under the current system; however, those who now separate from military service with the Army prior to retirement (less than 20 years) will do so with portable retirement savings,” said Hanson.